Love, according to one of the most remarkable writers the world has seen, is not just about a sparkle in the eye, or roses, and other pretty things. 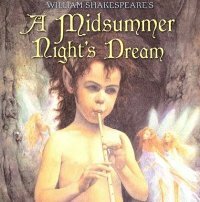 In his comedy A Midsummer Night’s Dream, Shakespeare takes on love and its complexities in a world of royalty and magic. Drawing on characters of different worlds – a kingdom, a fairy world, and that of men, the breadth of the play is quite large in comparison to some of his other works. This is another display of Shakespeare’s vast knowledge and his remarkable talent in putting things together to create yet another masterpiece. In Dream, the English playwright tells of tangled relationships in a quite playful manner. Though the story involves a threat of punishment by death for disobedience, trickery courtesy of the fairy King Oberon and the fairy Puck, as well as the betrayal of Helena, readers are set to follow a rather cheerful tone throughout the play. This humorous quality of the story may be attributed largely to Puck’s faulty execution of a plan that made the already complicated story of the four lovers Hermia, Helena, Lysander, and Demetrius even more mixed up. And that’s not the only consequence of his mistake. By reading this comedy, you might just see another side of Shakespeare. Why fear a person who talks about fairies and potions?